Having a Bridal Shower is an exciting time but for those of us that love this time of year then there is something really special about having a Halloween Bridal Shower. 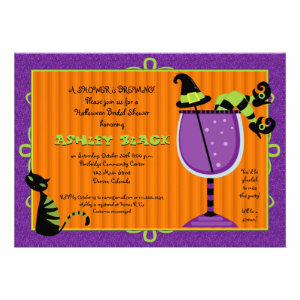 These Halloween bridal shower invitations are a great way to get your celebrations off to a great start. 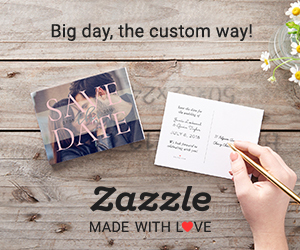 Invite family, friends, colleagues and freaks to your party in style with one of these fun announcements. 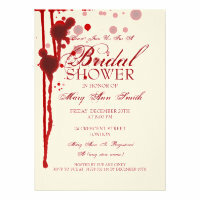 Are you having a fancy dress Halloween bridal shower? Why not ask guests to dress in fancy dress for your party, it's a great way for people to be laughing right from the start and a nice way to introduce people whom may not know each other. People can wear their own costume or you could pick a theme and have guests wear costumes within that theme. 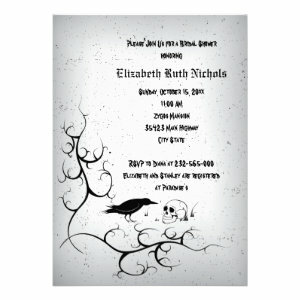 There are a lot of different designs to choose from, like elegant, vintage, scary and Gothic invitations. 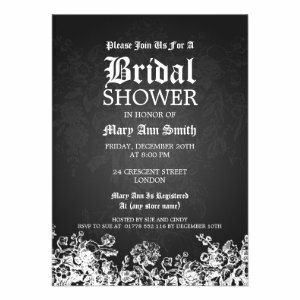 All invites can be personalized individually with your guests name, party details and any other relevant information. You can change the colour, style and layout of the font, and choose from a selection of paper types and finishes. 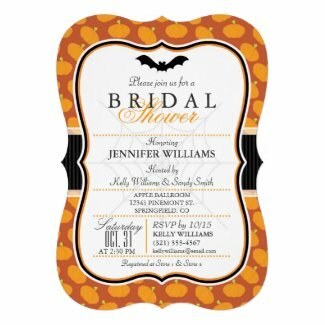 Announce your bridal shower celebrations in style with one of these gorgeous Halloween Bridal Shower Invitations.